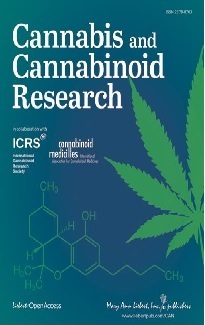 Cannabis use is not associated with increased risks of respiratory diseases. 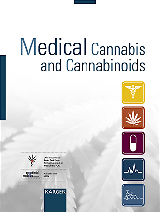 This is the conclusion of an analysis of 2304 participants, of whom 49% never used cannabis, 43% were former users and 8% were current cannabis users. Results by researchers of the Colorado School of Public Health, USA, were published in the journal Chronic Obstructive Pulmonary Diseases. Neither current nor former cannabis use was associated with increased odds of wheeze, cough or chronic bronchitis when compared to never users. Current and former cannabis users had less emphysema and better forced expiratory volume in 1 second (FEV1%). However, heavy cannabis use was associated with more chronic bronchitis symptoms. Morris MA, Jacobson SR, Kinney GL, et al. Marijuana use associations with pulmonary symptoms and function in tobacco smokers enrolled in the Subpopulations and Intermediate Outcome Measures in COPD Study (SPIROMICS). Chronic Obstr Pulm Dis. 2018;5(1):46-56. Aerobic exercise (running on a treadmill) increases mood and blood levels of endocannabinoids. This is the result of a study with 12 adults with a diagnosis of posttraumatic stress disorder (PTSD) and 12 healthy people by researchers of the University of Wisconsin in Madison and the Medical College of Wisconsin in Milwaukee, USA. Participants ran on a treadmill for 30 minutes at a moderate intensity. Vermont is officially the ninth state of the USA to legalize cannabis, and the first to end cannabis prohibition through an act of lawmakers. The previous law changes, which ended cannabis prohibition in eight states, were based ballot initiatives. Under the new law, people over 21 years of age will be allowed to legally possess up to one ounce (about 28 g) of cannabis and grow as many as two mature and four immature cannabis plants. Two assembly members were commissioned by the government through the National Assembly Laws Commission to study France’s drug policies, and recommend changes that could alleviate strain on the country’s criminal justice system. Unusually, despite authoring the report together, the two members of parliament diverged on their recommendations for legislative reform; thus, they settled on suggesting the government choose between two options for responding to personal drug possession. The Wright Center for Graduate Medical Education, Scranton, USA. In a study with 4194 women (1125 couples) cannabis used by men and women and had no significant effect on fertility. Boston University School of Public Health, USA. The administration of the cannabis extract Sativex and behavioural treatment reduced cannabis use in 40 cannabis-dependent people. Participants received up to about 110 mg of THC in the extract or placebo for 12 weeks. Centre for Addiction and Mental Health, Toronto, Canada. Trigo JM, et al. PLoS One. 2018;13(1):e0190768. A study with mice low doses of oleamide increased the antidepressant effects of magnesium and zinc. Authors wrote that they produced “at least additive” effects. Medical University of Lublin, Poland. Research reveals that dilation of blood vessels by cannabinoids does not only depend on the activation of CB1 and CB2 receptors on the endothelium, the inner lining of blood vessels, but is also involves other mechanisms. Bogomoletz Institute of Physiology NAS of Ukraine, Kiev, Ukraine. In a study with 27 obese patients suffering from type 2 diabetes and coronary artery disease caloric restriction to 1000 kcal per day for 16 weeks blood levels of endocannabinoids including that of anandamide, but not of 2-AG, were decreased. Leiden University Medical Center, The Netherlands. van Eyk HJ, et al. Nutr Diabetes. 2018;8(1):6.